Well, this much is obvious: this drug test thing is being taken veryseriously. 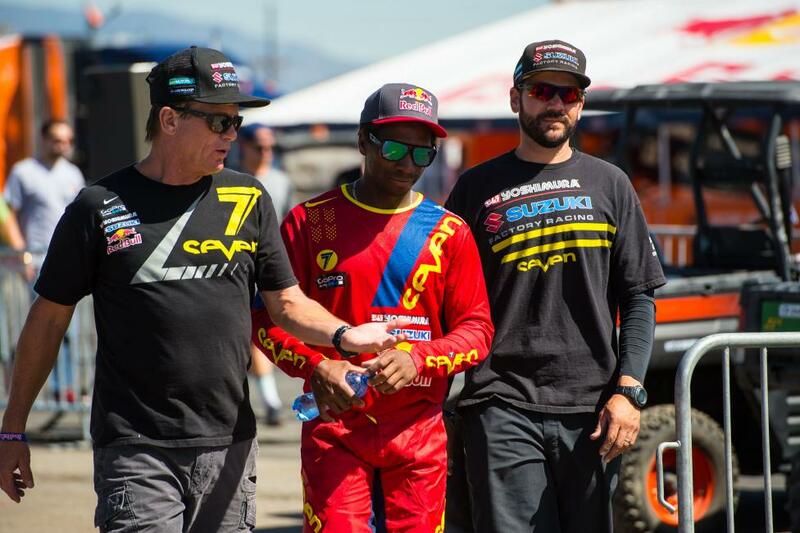 When the James Stewart news first surfaced last summer, I was pounded by folks complaining that James would not actually miss any races, because A.) this sport has a notorious history of not really penalizing or suspending anyone and B.) because James “sells tickets” and promoters will find a way to keep him on the starting gate. The rulebook did allow James to continue racing Lucas Oil Pro Motocross last year. Provisional suspensions aren’t supposed to be recognized by non-signatories, and the nationals are not a signatory of the FIM—so, the banter just grew. “You’re drinking the Kool-Aid,” they’d say, alluding to the classic way of blindly following a cult leader. I heard it over and over. Well, I’ll literally be boxing up some Kool-Aid and sending it to a prominent team person this week so he can drink some, too. He told me over and over there was no way the sport would do anything to James at all because he “sells tickets.” Turns out that’s not true. James is taking some serious heat, and the promoters of the events, Feld Motor Sports (Monster Energy Supercross) and MX Sports (Lucas Oil Pro Motocross, and a sister company to us here at Racer X), the ones who would actually sell tickets or get TV ratings from getting James on the gate, can’t do anything about it. Look, the World Anti-Doping Agency (WADA), and the US version, USADA, are to be commended for staying above the fray and the money trail, and not bowing to outside pressures. USADA brought down Lance Armstrong, not a popular move in many aspects. It drove a dagger into the heart of cycling here and abroad. Lance’s power on a bicycle was dwarfed by his power as an economic engine. He made the Tour de France bigger, he made road bike sales bigger, and Nike and his own Livestrong Foundation made this a billion-dollar situation. We witnessed probably a hundred-plus “trainers” connected to him, directly or indirectly, who made a lot of money because they could claim a connection to Lance. If you were working the cash register at the Whole Foods where Lance shopped in Texas, you probably went around claiming you were his nutritionist. Lance was as big as big will ever be, but USADA busted him anyway. It was fair and it was right, and someone has to make the tough decisions based on sport, not economics. In a world so dominated by conspiracy theories and payoffs, that’s both commendable and amazing. But any similarity to Lance Armstrong’s deal and James Stewart’s ends there. Lance did much, much, much, much worse things than James, and that’s why he’s banned for life and stripped of past titles. The crime was much worse, so the penalty was much worse. 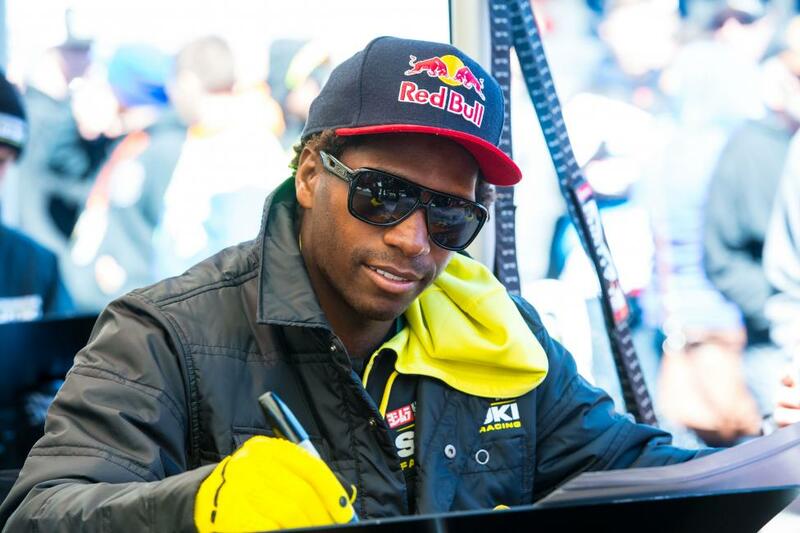 James Stewart, on the other hand, has a TUE to prove he's not. He’s now allowed to take the very drug that he was penalized for taking in the first place. His mistake was simply ignorance. Once he knew the rules, he went through the process of getting a TUE, and he was issued one. He also never denied that he took what he took, never tried to cover it up, never bullied anyone like Lance did. However, the rules also say getting a Therapeutic Use Exemption after the fact won’t have any bearing on the current case for the past drug test. Sorry. I’m not endorsing this sixteen-month punishment. I felt it was too harsh from the start. But I understand where the ruling comes from. The WADA code operates on a twenty-four-month base for penalties, and while James’ suspension was originally handed down by the FIM, not WADA, the FIM has to align their penalties with WADA’s wishes, or WADA will overrule them on an appeal. Note that the penalty was upheld. Remember, if WADA operates on a twenty-four-month base, sixteen months doesn’t sound too harsh to them. Plus, the FIM actually walked the penalty back to James’ original drug test date of April 2014, instead of starting it in October, when his trial was held. In that sense he had another few months lopped off (had the sixteen-month penalty started in October, James would also be ineligible for Monster Energy Supercross in 2016, which would have been an even bigger blow—maybe even a career-ender). So, in WADA’s mind, and the Court of Arbitration in Sport (CAS), which rules on appeals, sixteen months starting last April represented a nice compromise. Wrap all this up and I have a hard time being mad about it as currently constructed. There was a rule, and it was broken. There was a penalty, and it was given. Even James himself has fully admitted the mistake was on him, and he didn’t have the proper paper work (in this case, a TUE to use an amphetamine) in place before his drug test in April last year. Also, changing James’ sentence via an appeal would have serious ramifications for every other athlete penalized under the WADA code in the future, as well as recent past. You think WADA or CAS wants to deal with some Olympian citing the Stewart case in court? So the penalty fits the crime, yes, but there’s one problem: it doesn’t fit the sport. Many of the sports governed by these rules don’t operate on a weekly schedule like supercross and motocross. A twenty-four-month or sixteen-month ban may keep an athlete out of a Tour de France, the Olympics, or a World Championship meet. Most athletes in those sports don’t compete every single week. It’s telling that WADA has now increased the standard penalty for PEDs from two years to four years, because it guarantees a lock out on the Olympics—one huge career-defining event in a four-year span. James will end up losing out on about twenty-seven events during this suspension even if you don’t count races missed last year, like the Monster Energy Cup (I’ve also heard from the Suzuki folks that if his suspension is upheld, he’s not going to race the final two nationals, even though his suspension ends right before them. He would have to spend the summer training and testing to try to be on equal ground with his competitors for two outdoor events, then start focusing of supercross again. Why bother? Just come back at Red Bull Straight Rhythm and the Monster Energy Cup). In other sports that compete more frequently, like organized team sports, the penalties have been negotiated by the athlete unions, and they’re much shorter. An NFL football player would get four games for the exact same thing that Stewart did, which is still a decent amount of game checks, but not an entire two years, and thirty-two total games, for a first offense. I’m sure WADA governs some other sports that compete more frequently, but a lot of sports don’t operate on a schedule that runs twenty-nine races in 30-some weeks like this one does. The only reason this isn’t a complete disaster is that Yoshimura Suzuki chose to stick with James through it all. Most riders would have been dumped for missing that many races, especially with an obvious out via a morals clause in the contract. James got the TUE once he realized he was supposed to have one, which left him with one strong defensive move. Why weren’t the athletes in Monster Energy AMA Supercross, an FIM World Championship, told more about this? Was there enough of an educational component, not only from the FIM but WADA as well? The riders do have to sign a WADA code agreement to get their pro license, so they can’t claim complete ignorance, but following their guidelines and knowing more-than-basic chemistry becomes very complex in a hurry.. Yes, it’s up to the athlete to know what’s in their body and follow the rules, and that’s why James is paying the price. Still, James had a decent argument. When MX Sports brought USADA on board last year, USADA held a big open session at Glen Helen explaining the policies, the rules, the banned list, procedures, etc. They answered any and all questions, and further provided a twenty-four-hour toll-free-call line athletes could use if they had any doubts at all about something they were taking. I don’t know who makes late-night runs down to GNC, but if a motocross rider did, USADA would be glad to take that phone call and try to figure out if some Body by Jake protein power was legal or not. Or whatever they put in Taco Bell meat. Or cold medicine. Or your Starbucks triple mocha on the way to the practice track. Either way, USADA is always open. Prior to this year, I don’t recall seeing or hearing much about any of this type of safeguards from the FIM during supercross—if there was, I missed it, and so did James. I hear there might have been one info session somewhere along the way. Okay, rules are rules, but there’s also a rulebook that governs the racing, yet they still hold a rider’s meeting at every single race, all twenty-nine of them, with the same basic information all twenty-nine times. To me, something with this type of consequence should have been so public and obvious one could ever claim ignorance. Also, why did this take so darned long? Every step of this process seemed to take longer than originally expected. Ultimately, again, James broke the rule and is paying the price for it. But that doesn’t make other parts of the process infallible. The educational component could have been better, the decision process shorter, the penalties more tuned toward the sport. None of that was enough to change the decision in appeals court. But shouldn’t it be enough to foster some changes in the future?